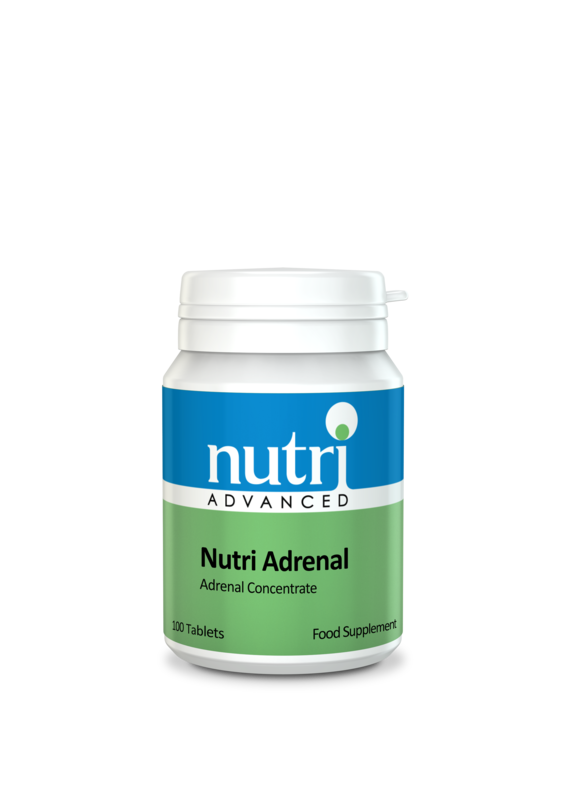 Nutri Adrenal provides a high potency adrenal glandular supplement to help support adrenal function. The adrenal glands produce most steroid hormone precursors and are the major source of DHEA and cortisol, necessary for normal stress response and adaption. Adrenal glandular concentrate helps to support healthy function of the adrenal glands. 1 tablet in the morning with food, or as directed (do not take after 1pm).